I, the Catholic bishop of the Diocese of Gallup, voice my strong opposition to a proposed bill aimed at repealing a New Mexico state law criminalizing abortion. While the law is currently not enforced due to federal legalization of abortion through the Supreme Court’s ruling on Roe V. Wade, I nevertheless urge opposition to any bills that would loosen abortion restrictions. I encourage readers of this letter to make their voices heard on this issue by contacting their legislator at this link. Abortion Free New Mexico stands in solidarity with Bishop Wall and announced last week, the launch of a statewide campaign urging New Mexicans to oppose House Bill (HB) 51: DECRIMINALIZE ABORTION, which would repeal New Mexico’s Criminal Abortion Law. 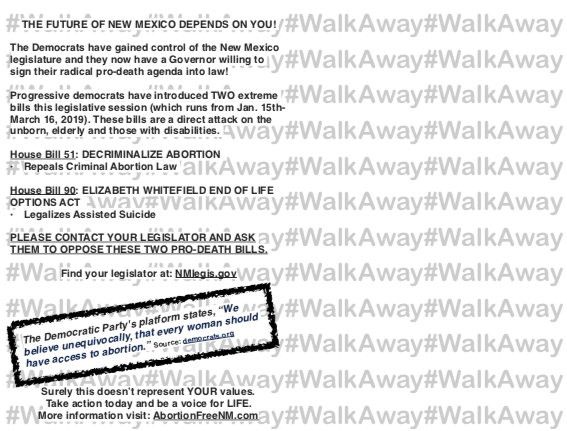 This statewide campaign includes the securing of a billboard located on I-25 between Albuquerque and Santa Fe and a statewide postcard mailer that will urge legislators from both parties, Democrat and Republican, to oppose this radical pro-death agenda. We need your help. 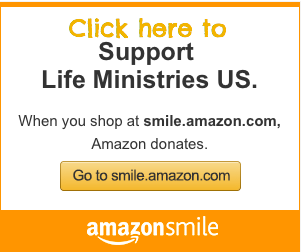 Here’s your chance to sow into a life affirming message all across New Mexico. In addition to the billboard, we will launch a STATEWIDE postcard campaign as early as next week. 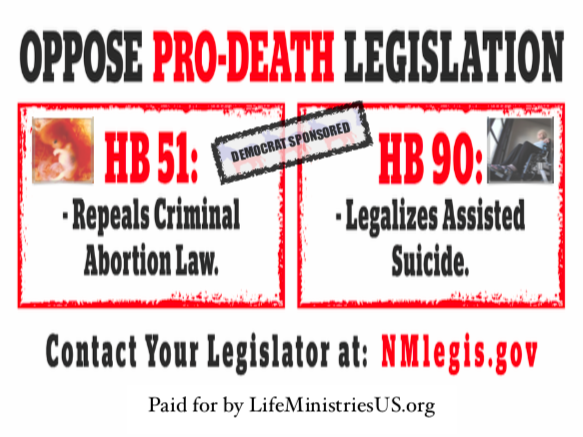 We want EVERY pro-life person in New Mexico to be aware of these bills and to contact their legislators asking them to OPPOSE PRO-DEATH LEGISLATION! WE WOULD ALSO LIKE TO SEND POSTCARDS TO 1,200 CHURCHES ACROSS NEW MEXICO TO EDUCATE AND ACTIVATE THEM. Click here to donate $1,000 for the billboard (an additional month) for the full 60 day legislative session.